Revoking entry permits for 83,000 Palestinians attempting to enter Israel in response to a recent Tel Aviv terror attack may amount to collective punishment, and could be regarded as a grave violation of international law, the UN human rights body said. “We are also deeply concerned at the response of the Israeli authorities, which includes measures that may amount to prohibited collective punishment and will only increase the sense of injustice and frustration felt by Palestinians in this very tense time,” UN High Commissioner for Human Rights Zeid Ra'ad Al Hussein said in a statement on Friday. On Thursday, the Israeli army canceled permits for 83,000 Palestinians to visit Israel and announced it would deploy hundreds of troops to the occupied West Bank, a day after a deadly terror attack in Tel Aviv took place, leaving four Israelis dead and six injured. Israel's retaliatory actions also included the suspension of 204 work permits held by individuals in the extended families of two alleged attackers, with Israeli security forces sealing off their entire hometown. “Israel has a human rights obligation to bring those responsible to account for their crimes. And this it is doing. However the measures taken against the broader population punish not the perpetrators of the crime, but tens - maybe hundreds - of thousands of innocent Palestinians,” the statement added. The Geneva Conventions which apply to situations of armed conflict and military occupation say that punishing people en masse they have not personally committed falls within the term of collective punishment, generally regarded as one of the most blatant breaches of international law. Israel's diplomatic mission in Geneva said in its own statement that the comment by UN human rights body “breaks a new record of cynicism and double standards." The OHCHR should take another look “at the current situation in the Middle East, so it may understand the absurdity of its own statement,” said the Israeli diplomatic mission. However, some 10,000 Palestinians can still go to Israel, according to a spokeswoman for COGAT, the Israel’s Defense Ministry unit in charge of affairs in the West Bank. They will enter for Friday prayers at the Al-Aqsa mosque and will have to come back home afterwards, she added. 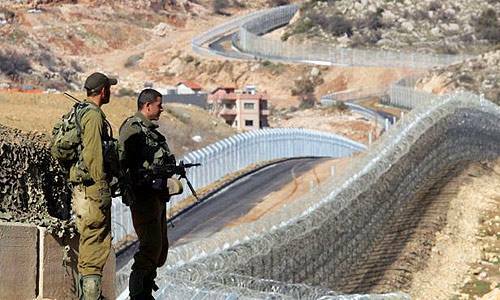 It is not the first time Israel introduces restrictions on Palestinian territories. Nearly two weeks ago, a newly appointed Defense Minister Avigdor Lieberman ordered that the bodies of Palestinians killed during attacks would no longer be returned to their families for burial. The latest attack in Tel Aviv and Israel’s retaliatory measures add to continuing violence between Israeli and Palestinians that has killed at least 207 Palestinians, 32 Israelis and several foreigners since last October.